This is the first case in Scotland in 10 years. It was detected as part of routine testing when any animal over the age of four dies on a farm. 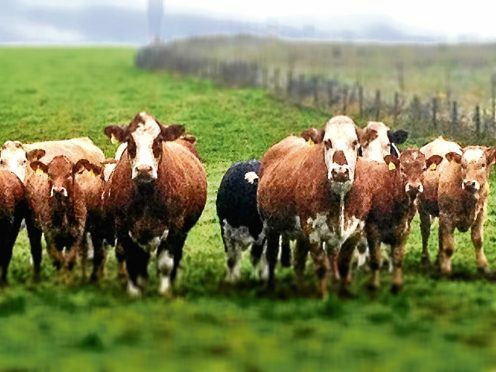 Scottish Government said precautionary movement restrictions have been put in place at the farm, which is believed to be in the Huntly area, while further investigations are carried out to identify the origin of the disease. Rural Economy Secretary, Fergus Ewing, said: “Following confirmation of a case of classical BSE in Aberdeenshire, I have activated the Scottish Government’s response plan to protect our valuable farming industry, including establishing a precautionary movement ban being placed on the farm. “While it is important to stress that this is standard procedure until we have a clear understanding of the disease’s origin, this is further proof that our surveillance system for detecting this type of disease is working. “Firstly, I would like to express my sympathy to the farmer involved and their family. Food Standards Scotland director of operations, Ian McWatt, said: “There are strict controls in place to protect consumers from the risk of BSE, including controls on animal feed, and removal of the parts of cattle most likely to carry BSE infectivity. North East region Scottish Conservative MSP Peter Chapman said: “I recognise that having been BSE-free for so many years this will be a huge blow to the Scottish beef industry.